We saw the ASUS Infinity launch, behind perspex, at Computex. It appeared last week at IFA but it wasn’t until today that I got some hands-on time with it. It’s a beautiful design, light and has the unique feature of an Intel Iris HD 5100 GPU. After taking a brief look at the device manager it appears that the storage is a dual-SSD RAID set-up. One assumes this is for speed rather than redundancy but the question remains, do people really notice the difference when SSD speeds are above 400MB/s? Did they say anything about the release-date? Price? What’s with ASUS and their ugly shiny lids? there is something about that screen that is a bit off for me, maybe the bezels , dunno,lol, I find the sonv vaio pro 13 more attractive, to give it plus I like the way you can tilt the screen more than the vaio pro though, only if sony has a 5100 iris part for the vaio pro, then It would be a real winner :), I think I’ll just wait for a bunch of reviews first of the Zenbook infinity for the moment and maybe receive some dimensions regarding everything on it. I hope future releases will include an ethernet port just like the Fujitsu Lifebook UH90. Release date is rumored to be November btw. I also checked with the local Asus distributor and he told me although he can’t give me any details in regards to pricing, it will be available in November. Best laptop in the world right now. It’s also proof that Apple purposefully gimped the MBA resolution to retain profit margins & create separation with MBP. I really enjoyed the Apple bloggersphere defending the MBA resolution earlier this year saying it wasnt possible to have a “retina” screen in a device of that type. They really out to look at the world outside of Apple before commenting sometimes. 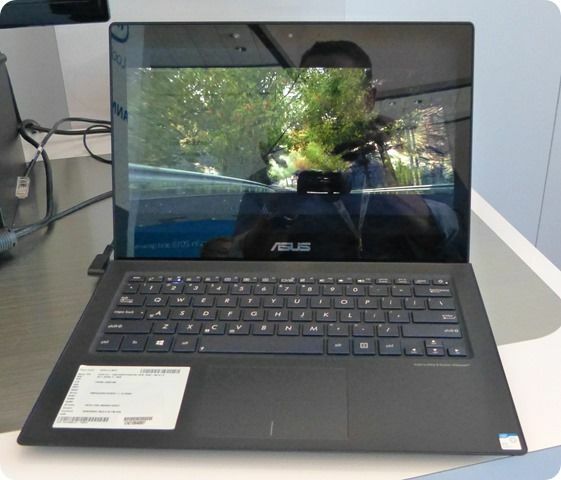 I’d like a list of Ultrabooks you can still get without a glossy touchscreen full of extremely visible finger smears on their mirror surfaces. Nice price tag of 2199 euro (around 3000 US dollars). your relationship, but make sure that you are as direct as you can be. For more info: Kelly is a writer and former speed dating host.